Sandra Persing (Mozilla), Ricky Robinett (Twilio), and Robyn Bergeron (Red Hat) sit down with Saron to share what they're working on, how they support their communities, and what they're looking forward to in 2019. 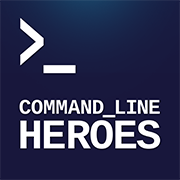 Saron Yitbarek: 00:06 Hi everybody, I'm Saron Yitbarek and this is a special bonus episode of Command Line Heroes, an original podcast from Red Hat. This podcast went a lot of places in Season 2. We explored programming languages, data overload, security crises, the advent of serverless. I mean, we even went to Mars. Saron Yitbarek: 00:28 But after closing out Season 2, there was still one more place we wanted to go. We wanted to go inside the minds of the advocates and thought leaders who help shape all the work that developers do. Sometimes they're called developer advocates or they're in developer relations or they're developer evangelists. Saron Yitbarek: 00:50 Whatever their exact titles, from the developer's perspective, they seem to do a lot of the same things. You've seen them give keynotes at conferences. You've heard them getting interviewed on podcasts, like this one. You've probably read their blog posts. But who are they, and what exactly are they using their voices to get done? Saron Yitbarek: 01:10 To ring in 2019, we've pulled together a roundtable of amazing people for you. While their titles are all different, their purpose is the same. They're here to help developers and make sure their needs and voices are heard. These folks are classic command line heroes. Saron Yitbarek: 01:29 From the Bay Area, Sandra Persing is a Mozilla Global Strategist and creator of the DevRel Summit. Sandra Persing: 01:38 Hi, Saron. Saron Yitbarek: 01:39 Hello. And also in San Francisco we have Ricky Robinett. He's the Director of the Developer Network over at Twilio. Ricky Robinett: 01:47 What's up? Saron Yitbarek: 01:49 Joining me from just outside of Phoenix is Robyn Bergeron, a community architect at Red Hat. Robyn Bergeron: 01:55 Hi there. How are you? Saron Yitbarek: 01:56 I'm doing great. Saron Yitbarek: 01:57 So there are a lot of titles floating around. There's Developer Advocate, Developer Evangelist, Developer Relations, and with all these new things, basic definitions are super important. So, I think a good place to start is just to define what these things are and specifically, what you all do in this space. So, can you tell me your job title and what that title actually means? Ricky, let's start with you. Ricky Robinett: 02:22 Okay, sounds good. My title is the Director of the Developer Network. What I have the privilege of doing is serving a team of developer relations professionals. We have an evangelism team, we have a education team and we have a community team. So, it's definitely a mishmash of all the different titles of you hear, we kind of collect them on the team. Saron Yitbarek: 02:43 Awesome. And Sandra, what about you? Sandra Persing: 02:45 I am at Mozilla as the Global Strategist for events and sponsorship and I work with our developer outreach team in the emerging tech group at Mozilla.I usually explain my day to day activities as a lot of research and communications and explorations that really leads to evaluating and deciding, you know, how we should all invest our resources: our time, money, swag, speakers, et cetera, in order to give back to the developer community, but also to receive feedback from the developer community. So both the evangelism side and the advocate side. Saron Yitbarek: 03:24 Awesome. And Robyn, you're up next. Robyn Bergeron: 03:26 Hi. Well so, my official title is Community Architect. I get a lot of questions about this title. I've gone by Community Manager. I've gone by Developer Advocate. I've even gone by Operations Advocate at one job in the past. But I like to think of what I do is, you know, when you're a community manager, like the idea that you're really managing all these people who are contributing out of the goodness of their heart is sort of a silly notion. So, I like to think of what I do as building frameworks in which people can actually successfully participate and make sure that roadblocks aren't in their way and that they can get done all the things they want to get done. Saron Yitbarek: 04:02 And Ricky, since you are essentially the Director of the entire network, you're not just in advocacy or evangelism or community, it kind of feels like you're running the whole show. How do you understand this idea of being an advocate either for developers or advocating to developers? Ricky Robinett: 04:20 Yeah, that's a great question. Phil Nash, who's one of the evangelists on our team had a great framing for this that I'm going to steal, which is we have a lot of different ways of describing what we do, but ultimately a lot of them just being help. Saron Yitbarek: 04:33 I like that. Yeah. Ricky Robinett: 04:35 We help developers, and so sometimes that help looks like answering a question on Stack Overflow. Sometimes it looks like building a new tool. Sometimes it looks like organizing an event and then sometimes it looks like initiating a product change internally. So, I think that's the best framing I've heard is really our responsibility is to help. Saron Yitbarek: 04:57 Absolutely. Sandra, what I'm so interested in about your position is that you're not just a Strategist, you're a Global Strategist and you're all over the world trying to bring developers together and help them as part of your job at Mozilla. When we think about advocacy on a global scale, what does that look like? Does it mean something different across different countries, continents? Sandra Persing: 05:20 Yeah, absolutely. We just wrapped our third annual DevRel Summit this year in Singapore and the past two years, we hosted the event in Seattle and getting out to Singapore, we saw a different perspective. When we get outside of the Bay Area, it can be something as basic as, you know, how do we make sure everything just works offline, because connectivity is such an issue or something like how do we just make sure a developer who's working in Indonesia feels just connected to a developer community, whether that's online or onsite through meetups. Sandra Persing: 05:59 And always going back to recognizing that some of our quote unquote "basic things," some of our easy things like creating a simple meetup in the Bay Area, which is so a dime a dozen, right? You throw a rock and there's a meetup everywhere is still something really special and something that a developer in let's say Vietnam still sees to be incredibly important and valuable and enriching their developer community life. Saron Yitbarek: 06:27 And one thing I'm noticing is that everyone has mentioned community in some way. And I run a community myself. I do Code Newbie and I regularly get recruited by companies to be an evangelist or a community manager for their company and one thing that I've always been a little worried about, maybe a little squeamish about is thinking, okay, I've spent the last three, four years taking care of this community with no strings attached, on my terms,I'm doing what I think is best. Saron Yitbarek: 06:55 But if I work for a company, then will I have to sacrifice that? Am I going to be in a position where I have to put the company before the needs of the community and how do I balance that relationship? Saron Yitbarek: 07:06 So I'm wondering, Robyn, maybe we could start with you as a Community Architect, how do you separate that? How do you maintain that church and state relationship, so to speak? Robyn Bergeron: 07:16 Well, it's certainly an interesting balance. I mean, one of my former jobs was actually being the Fedora project leader. And you know, Fedora is the upstream for Red Hat Enterprise Linux, you know, part of your role there is really to be sort of the balancing act, right? The balancebetween are people happy in the community, is the company happy with what the community is doing and making sure that basically everybody's one big happy family. Robyn Bergeron: 07:41 And you know, I think when you're doing your job best in that position yeah, you're pretty much bound to probably anger someone at the corporate headquarters once in a while. But you know, the proof is in the pudding at the end of the day. Right? Robyn Bergeron: 07:59 People ask me all the time like, how do you balance, what's going on with Ansible and Red Hat and you know, like when Ansible got bought by Red Hat, like, oh my God, is Red Hat going to take it over and do something terrible to it and get rid of, Ubuntu support? Robyn Bergeron: 08:12 And it was like, that would be defeating the whole purpose of having this entire project. Like, we haven't gotten to 4,000 contributors by being terrible. Robyn Bergeron: 08:22 Making sure that your management trusts in you and that you have clear communication with folks all the time about what's actually going on and that there aren't surprises on either side of the aisle is part of what makes the difference between success and maybe not always success, but certainly people being surprised. Saron Yitbarek: 08:41 Mm-hmm (affirmative). Absolutely. And Ricky, what about you? How do you think about church and state in that relationship when you're doing so many different things? Ricky Robinett: 08:49 I think you have to believe in the company and the technology. You have to believe that what you are bringing to developers is going to have an impact on their lives and their careers and their companies. Ricky Robinett: 09:03 And then on the flip side, you have to have executives who believe in this approach to your work. So, we're very lucky that our CEO is a developer and in many ways was the driving force behind the way that we approach our developer community. Our evangelists have a mission to inspire and equip developers. And so, there are times when we say, is this going to inspire and equip them?Because if it's not, we shouldn't really be doing it because it's something that's outside of our purview. Sandra Persing: 09:44 I was going to say. Saron Yitbarek: 09:46 Tell me about that. Sandra Persing: 10:01 and the Internet is an open and free resource for all. I mean, we still, every one of us, every Mozillian believes this mantra and we hold it dear to our heart. So it's absolutely an amazing company that has embraced the community side 100%. Saron Yitbarek: 10:22 Absolutely. So Ricky, I vividly remember the red-like sports jacket and I remember seeing you personally onstage doing these awesome demos and it feels like that whole approach to connecting with developers and helping developers was very new. Where did that idea even come from at Twilio? Ricky Robinett: 10:41 Well, that's very kind of you to say. We do really believe we stand on the shoulders of giants here. You think of Guy Kawasaki with Apple, of people doing this style of marketing way before us. I think that we got to be fortunate enough to be at the right time to take this to developers. Saron Yitbarek: 11:19 You gotta find that out. Ricky Robinett: 11:19 -of where that started. Saron Yitbarek: 11:20 That's a great jacket. Ricky Robinett: 11:21 I know. That's my mission for this afternoon now. Saron Yitbarek: 11:25 And I'm wondering how has that idea of evangelism, and advocacy, how has that changed over time at Twilio, given the fact that, you know, at one point you were a small little startup or a little rebellious startup, and then now you're kind of a big company. How is the shape of evangelism changed as the company itself has changed? Ricky Robinett: 11:46 Yeah, when I started here, I feel like I could have spent 365 days a year at hackathons and in New York every weekend you had to pick from five or six hackathons. So much of what we did with evangelism was the hackathon scene and now, that's not the same scene. Really, the biggest changes have been driven outside the company rather than inside. Ricky Robinett: 12:11 So I talk about evangelists inspiring and equipping. And so the nice thing is that hasn't changed in all the years, so the ways that they inspire and equip keep going differently, but the mission itself doesn't change. 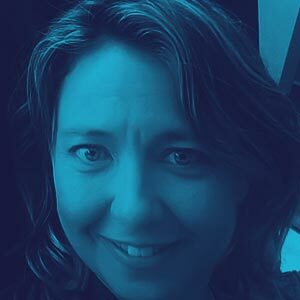 Saron Yitbarek: 12:26 And Robyn, with the rise of DevOps and DevSecOps, what does advocacy look like for you and for being that community architect? Is there gonna be a Ops advocate? Robyn Bergeron: 12:39 Well, actually that was ... I mean, my first job after dropping out of school, don't recommend it, kids. Don't do that at home. Saron Yitbarek: 12:47 Stay in school. Robyn Bergeron: 12:48 Listening. Look at looking at you, daughter. My first job was actually as a SysAdmin at Motorola for a number of years and when I moved on from being in charge of Fedora, I worked at Elastic Search for a while and you know, had this title of Developer Advocate and was like, yeah, so I hacked my way through several semesters of C in college. But my heart was always in operations. I started feeling like am I really a developer advocate? I feel like I'm just advocating to ops folks mostly. And I just started calling myself an operations advocate which nobody blinked an eye at. Robyn Bergeron: 13:22 Everyone said, well, that's a really cool title. I'm like, you know, I'm just advocating in general mostly to the inside of my company about what everybody else is doing. Saron Yitbarek: 13:33 So Sandra, we talked about how advocacy and evangelism looks different in different parts of the world, but I'm wondering over the years as we become increasingly more global and more connected, has the larger picture, the larger shape of evangelism shifted over time for you? Sandra Persing: 13:52 You know, what is developer relations? Are we pitching our product being more salesy? You know, and I notice that even large corporations are moving away from that tactic. Understanding that being authentic, being truly mindful of listening and responding to the needs of developers is key above all else, not pitching product. Sandra Persing: 14:17 I always go back and share with my team at Mozilla that developers are actually one of the smartest and creative customer base that we'll ever work with. They can smell that BS from miles away. So, we have to be smart about how we are sharing information, like it has to be a diverse group of talented and intelligent minds all coming together to become creative in our approach of communicating to our developer community. Saron Yitbarek: 14:48 Oh, I really like that. I like this idea of many different skill sets, I guess, backgrounds need to come together to really serve developers well and to help developers help themselves, too. 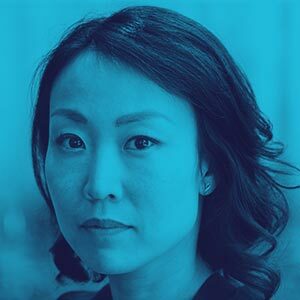 Saron Yitbarek: 15:01 When I think about the rise of developer advocates, to me it feels very connected to the rise of open source. It almost feels like the more open source contributors there were and the bigger deal open source became and the more big companies took it seriously, they almost had to establish better relationships with these open source contributors, these developers, and it feels like those two are really connected to me. Saron Yitbarek: 15:27 So I'm curious about your ideas about that. So Robyn, let's start with you. Is that true at all? Is that idea of advocacy connected at all to the rise of open source? Robyn Bergeron: 15:37 If you are a company who is selling software that or selling whatever licenses, long termsupport, you know, whatever your open source company's business model actually is, if you don't have that feedback loop or you're not actually paying attention to what people are saying, you're going to wind up delivering the proverbial wrong thing. And really being able to encompass that, you know, around the world and just day to day in what you do is the difference between success and I guess making the wrong thing, which nobody wants to spend time doing. That's a bad idea. Saron Yitbarek: 16:10 Yeah, that's generally a bad idea. Cool. So, I want to know from each of you what you all have been focusing on, really thinking about. So Ricky, let's start with you. What kind of improvements do you try to bring about in the developer culture in your role at Twilio? 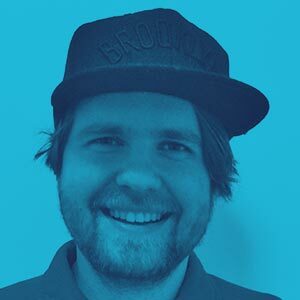 Ricky Robinett: 16:27 If I were to say the phrase I've heard the most when I talk to developers, it's, "I'm not a developer, but," and that's probably one of the biggest things that's always on my mind is broadening the definition of developer. Ricky Robinett: 16:45 Imposter syndrome for so many of us is a very real thing. It's just amazing how even some of the best developers you know are struggling with it. And for me, that's one of the biggest things we can all do in our culture is give people permission to say, "You know what? I am a developer. I am solving problems with code." Ricky Robinett: 17:08 And so, one of my favorite stories is we have a member of our community named Doug McKenziethat's a magician. And he taught himself PHP so he could use tech in his magic tricks. Saron Yitbarek: 17:23 Oh, neat. Ricky Robinett: 17:23 Doug is so cool because he was super humble about like, "Oh, I'm not a developer." And suddenly you see, like, he's writing more complicated code than many people have ever seen, to do things that blow minds. And so, I just feel like there's so many Doug McKenzies in the world who are doing great things with code and we have the opportunity to give them permission to be part of the community and to have an identity in that work. Saron Yitbarek: 17:51 I love that story because it reminds me of someone I interviewed for the Code Newbie podcast actually, and she was a writer and she had a bunch of assignments where she had to learn Git in order to write about Git and she'd written so many of these articles and it grew to be on other coding topics and eventually, you know, a couple of years had passed and she'd essentially become a developer and didn't know it. Saron Yitbarek: 18:13 And by the time I interviewed her and I said, "Hey, do you know that you're a developer?" She's like, "No, I'm a writer." And I said, "You can be both. They're not mutually exclusive." But yeah, that shift in perspective of saying, "Hey, I'm actually coding and creating, therefore I can now call myself a coder," it's tough for people. It takes a while to get there. Ricky Robinett: 18:32 Yeah, absolutely. Saron Yitbarek: 18:33 Yeah. So Robyn, for you, what's been the most positive change that you've managed to push forward in recent years? Robyn Bergeron: 18:41 Just making sure that as we grow, that we're not losing track of the big picture, that our main goals around keeping it simple for people to use, simple for people to contribute to, simple to actually get stuff done with in your life, making sure we're not losing track of that or getting more engineering help to just work on some of the structure of the actual project and make sure that we're doing a good job of keeping all that stuff in order was, I don't know, I thought that was important. I don't know that I'm going to win a Nobel Peace Prize for that, but I know it's something that mattered a lot to lots of the contributors. Saron Yitbarek: 19:19 That works for me. Sandra, what about you? What's been the most positive change that you've managed to push forward in recent years as a Global Strategist? Sandra Persing: 19:26 Two things that really stand out from my mind is expanding this definition, the persona of developer, has been something that's been very important. We'd love to grow our community, right? So why restrict the definition and description of a developer? Sandra Persing: 19:43 When we did a panel at Sundance with some famous names like Reggie Watts and Chris Milk, we gave an opportunity for filmmakers, producers, decision makers to say, "Oh, we can do that, too. We don't have to be bound by restrictions of what can we do as creative filmmakers." Sandra Persing: 20:49 So we created two simple templates, to say, "Try it out," but it's not programming that we wanted to push towards. It's not coding. It was, "Yes, there's some lines of code. It's language, but what you want to do is create a few lines that now can translate into art," and that brought so many new people into our fold, literally brought them to our table, and then they would write their lines of code, go and walk over under the Arch, to see their light expressions now being looped in the structure. That was amazing. Saron Yitbarek: 21:22 Wow. That sounds beautiful, absolutely beautiful. So, I'm wondering, when we talk about advocating for developers, and we talked a ton about community, and this idea of at the end of the day, whatever our job titles are, we're really just trying to help people, what do developers need help with? Ricky, let's start with you. What do developers say that they need from you? Ricky Robinett: 21:44 Wow. Yeah, that is a good question. I think that one of the things that we've found is that, like technology's changing so quickly, and a lot of what we get asked about is just, "Where do I start? What do I do first? How do I know I'm on the right path?" For us, that's probably one of the areas we have been investing the most, is we call it like helping people discover their power to change the world with code. Saron Yitbarek: 22:16 Oh, that's beautiful. I approve. Ricky Robinett: 22:18 Well, thank you. Yes. That's exciting. So we built a tool called TwilioQuest, to help people discover that power, to help them know where to get started, but I just sense, you know, there's been this theme of people finding their identity, or getting permission to have that identity, and for every person that's writing code already, or solving problems with code or software, there's so many more who want to, and just don't know where to start yet. So that's a thing that's on our mind a lot. Saron Yitbarek: 22:51 Yeah. So Robyn, for you at Red Hat, what are Red Hat developers looking for? Robyn Bergeron: 23:00 A lot of times, it's people who come to you and they've got some roadblock in their way, whether it's, you know, "Somehow my PR fell through the robot cracks," but a lot of times, it's also people who are like, "Hey, I had this cool idea. Maybe it doesn't quite fit in here, but I thought maybe it might improve how the community is running, or might be a good companion tool to other stuff that we're working on. What do I do?" And it's like, "Well, you know, how can I help you get started," you know? " What can I do? Like, do you just need someone to say yes? Because I am here to say yes all day long, to basically anything, and just let people know that yes, of course you have permission to do that," so that's, you know, I think the best thing that you can do, at least in my position, is make sure people don't have things in their way, or if the one thing that's in their way is waiting for someone to just say yes, I keep reiterating all the time that you don't need permission, but if someone needs it, then by god, give it to them. Saron Yitbarek: 23:58 So, the last question, we need to wrap things up, so I'm going to ask you each something. What is the single-most important thing that you're going to be advocating for in 2019? If you had a magic wand, what's the next big thing you'd want to change? Sandra, let's start with you. Sandra Persing: 24:15 Oh, I knew you were going to do that. Well, the biggest challenges, and yet the most exciting projects that we're going to be working on for 2019, is to truly deliver on our promise of the web being one of the greatest, biggest, most accessible platform. We always tell developers it's where you should build, and deploy everywhere, but knowing that the web itself is incredibly complex, and that we have multiple browser vendors out there, sometimes that's not a true statement, and it's been a perennial challenge for us, especially at Mozilla, where we want to keep the web open, and free, and accessible for all. We want to continue to make sure that we are fulfilling that promise to our developers, that the web is indeed open, accessible, and available to all. Saron Yitbarek: 25:10 Oh, love that. Ricky, what about you? Ricky Robinett: 25:13 Just making sure we're serving developers where they gather, online and offline, throughout the entire world. It canbe super easy to get focused on what you see and forget that there's developers everywhere, even when you don't see them. So, I would wave my magic wand and just be more places all over the world, finding out how we can help developers there. Sandra Persing: 25:36 I just want to say, I loved Jarod's talk about dark matter developers. It was incredible. Ricky Robinett: 25:42 It's like such an amazing concept when you hear it for the first time. It's like, "Wow, that really is a thing." Saron Yitbarek: 25:50 So tell us about that. What's a dark matter developer? Sandra Persing: 25:52 Essentially, there are developers out there, there are those who do not show up to your meetups, who do not participate in GitHub, online communities, do not contribute to Stack Overflow. Those are the developers who are still actively working and contributing, but we do not know. We know that they're there, but we cannot see them. We cannot identify them, and those are actually a very important segment of the developer community that we tend to ignore, and we cannot. It will be to our detriment working in developer relations, to ignore the community that does not speak up, and we need to be more proactive in searching those dark matter developers out in our universe. Saron Yitbarek: 26:34 Oh, I love ... Oh, that's very cool. Yeah, and Jarod actually works at Twilio, right? Sandra Persing: 26:38 Yes. Yes, he runs the APAC DevRel. Saron Yitbarek: 26:52 Mm-hmm (affirmative). Saron Yitbarek: 26:58 Absolutely. And Robyn, what about you. What would you do with your magic wand? Robyn Bergeron: 27:03 Oh, with my magic wand, so many things, but I guess pursuant to this conversation, getting better at managing our dependencies upon each other, and maybe not surprising each other, especially when so many of us work in OpenStack, and OPNFV, and Ansible, and all of these things that build on top of each other. Just making sure that the relationships between our projects is more obvious than things can be when you're head-down in stuff. So that's a thing I'm really looking forward to over the coming year, because we're getting traction on stuff. It's very exciting right now. Saron Yitbarek: 27:39 Traction is always just so good. It's so exciting. Well, I want to thank all of you so, so much for joining us today and sharing your minds, and your thoughts, and your stories. Thank you all so much. You want to say goodbye? Robyn Bergeron: 27:51 Bye, y'all. Sandra Persing: 27:54 Nice. Thank you so much, Saron. It's been a pleasure being on this panel. Ricky Robinett: 27:58 Yes. Thanks for having us. Saron Yitbarek: 27:59 Absolutely. Today's roundtable included Robyn Bergeron, Community Architect at Red Hat, Sandra Persing, Global Strategist at Mozilla, and Ricky Robinet, Director of the Developer Network at Twilio. I consider myself hugely lucky to have platforms where I get to share my vision for what our community could become, whether here on this podcast or elsewhere, but I want to point out, you do not have to have your own podcast to be an advocate. Being an advocate simply means you keep your eyes open and you speak up on behalf of others. It really can be everybody's job. So I'm hoping Robyn, Sandra, and Ricky give you a little inspiration to advocate for matters to you. Saron Yitbarek: 28:50 Meanwhile, Season 3of Command Line Heroes is already in the works. You can be one of the first to learn about new episodes when they drop this spring. If you haven't already, subscribe over at Apple Podcasts, Google Podcasts, or wherever you get your podcasts. It's one click, and it's 100% free. I'm Saron Yitbarek. Thank you so much for listening, and until season 3, keep on coding.